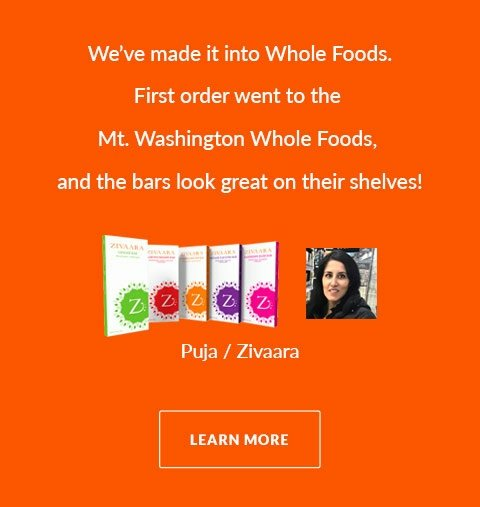 Here are 5 low cost ways to put a professionally branded product on the shelf. The 'quantity' question plays heavily on what package you can produce economically. Low quantities are possible but you need to be aware of which type of package can be produced at low quantities (1,000 or under) and not break the bank. For more information on the ins and outs of quantities and price - check out our previous blog post on package pricing here. 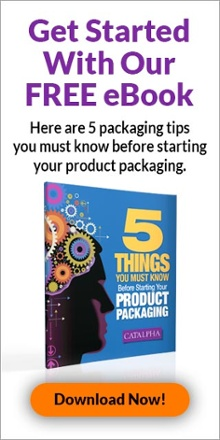 Here are five types of packaging that can be created in small quantities and still be economically produced. Couple these with an imaginative mind / and a great design (ahem - think Catalpha), and these packages can increase the perceived value of your product. So, let's get to it. A hang tag does just that - a tag that hangs off your product. The big question here of course - is your product right for a hang tag? What products work best with a hang tag? Usually products like clothing, bottles (that have a neck or handle), durable items that can survive handling and shipping without a package and still be sold will work well. Somehow you need to consider how to attach the hangtag - string, swift-tack, zip tie? And then, of course, the time it will take to physically attach them. If you've made it through that and are still thinking that a hang tag is the right way to go, the rest should be easy. Hang tags, because they are small are like business cards and can be printed (mass produced) in a variety of stocks, colors, foils for costs on the lower side. The possibilities are endless and the results can be impressive. This is a great solution for small print quantities for the right type of product and brand impression. Similar and sometimes called hang tag, the header card package is another staple of the packaging world. 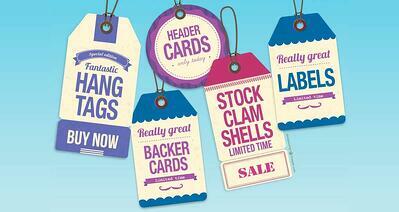 Header cards are simply a card stock printed, folded, then stapled to a poly bag holding your product. The header has a bad rap, because it is used extensively in the five and dime stores of past. Remember them?, everything in them was made in Japan. Times have changed and so has the header. This style of package allows product to be visible as well as being low cost. If cost is the main driving force in deciding on package cost then this, hang tag and backer cards are the low cost solutions. The header doesn't have to be boring or mean low value. A diecut to the edge can greatly change the impact of a header card. This is a common solution when you need low quantities and it supports the brand impression you need for your product. These are great because it is one piece package. We recommend these for inexpensive package solutions for products that are durable and customer is ok with their product being exposed (not protected from the elements). These work when the product can be zip-tied or otherwise attached directly to the card. You see this all the time in the pet aisle of stores with dog toys toggle tied or stapled to the backer card that presents manufacturer brand. To save a little more print 4 color on front and 1 color on back. This solution is perfect for low quantity print runs, physically handling product assists in the sale process, and it is appropriate for your brand impression. Often overlooked, this workhorse can be a branding icon. Labels work best when the package IS the product. A label adds the brand and 'finishes off' the package for the final look. Labels can be created economically in small quantities, too, which is our point here. Put the right label on a simple kraft colored box and you've got a package to rival many products. It looks 'green' as well and in most cases it is. 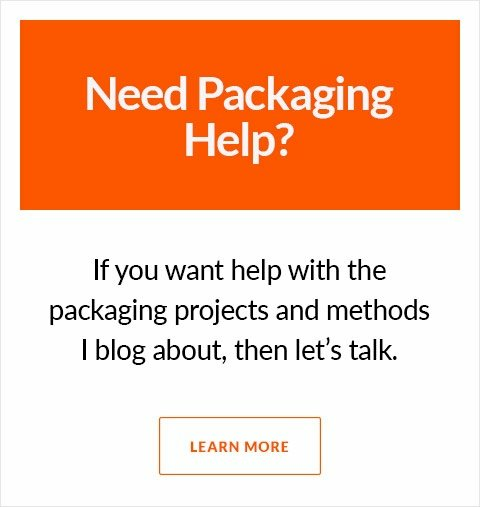 Are your products just in bags? If so, a label here can not only brand the product, but can be the final closure - giving the product an unused look. ie: You've got to break the 'seal' to use it! Pretty cool. Labels can finalize the brand on many containers. Not just boxes, but jars, tins, bags and plastic bag containers. Take a look at the Memphis Ribs product - this food product is using stock plastic containers with a label to wrap (and seal) it OR a half moon label that finished off the product. Looks like any other product in the cooler. Low tack adhesives are available so they can be used on clothing, coolers where the branding is temporary for retail impression. Think of the products that just use labels - Wines, Any bottled food product, Beer, cosmetics. With a little imagination, you could probably use a label for your product. Labels can use some unique printing methods as well like foil stamping - which adds that bling you might be looking for. Labels and hang tags - small but powerful packaging tools. Here's one most packagers don't think of, an enhanced stock clamshell package. While this may be the more expensive of the options, it’s still quite a bit less expensive than trying to package your product with a custom clamshell solution. AND it can be done in small quantities. When plastic is the answer, this method is a winner. A unique and finished looking package using stock items. Who says plastic is expensive? The real difference maker is the process of choosing the correct stock clamshell. While these shells were not made for your product, they can be modified with a custom diecut insert to hold your product in place AND have enough billboard space to catch the consumers attention. A custom insert takes a stock container and makes it unique. No one would know you are using a stock solution. We've created many custom inserts that not only brand the product but present the product like it is built just for it. Clamshells provide better security for your product - sealing the edges so you need to cut the package open. A little frustrating. On the positive side your product is displayed in all its glory, when the visibility of the product is paramount the clamshell is a great solution. It presents a higher quality image than a poly bag or hang tag, too. These are great cost effective options for low quantity production. With the right graphics they present your brand image to the best effect. Even some pricey costume jewelry uses backer cards as packaging in a retail store like Macy’s. Don’t hesitate to comment should you have more questions. *Package images shown are from a variety of internet sources including: TheDieLine.com and LovelyPackage.com.